The Right to Information (RTI) Amendment Bill and the Data Protection Bill are attempts to limit citizens’ access to information. These bills contradict the promise to give transparent and accountable government. 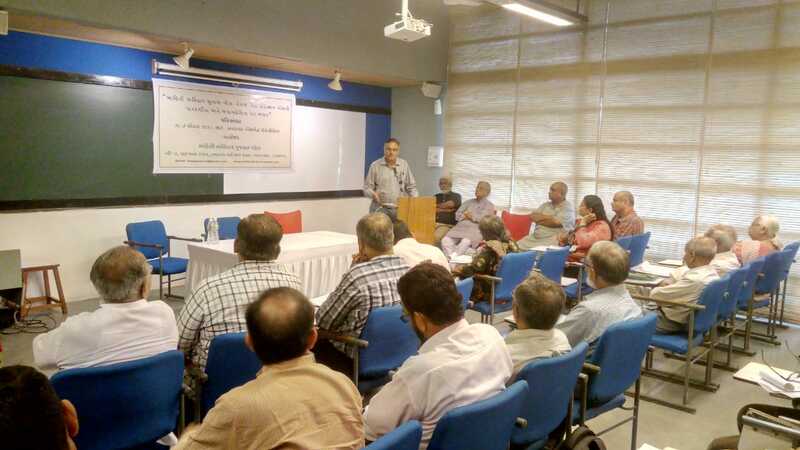 This was the conclusion of a seminar organized by the Mahiti Adhikar Gujarat Pahel (MAGP), Gujarat’s RTI watchdog, at the Ahmedabad Management Association (AMA), on August 7. Attended by representatives of voluntary organizations, RTI activists, journalists, column writers, development workers, and all those who are deeply concern over the Government of India’s (GoI’s) attempt to weaken transparency and accountability framework, thereby limiting citizens’ access to Information, the participants discussed various provisions of the new draft bills and their impact on the transparency regime. The RTI Act has proved to be one of the most powerful tools in the hands of citizens for seeking information and accountability from government. 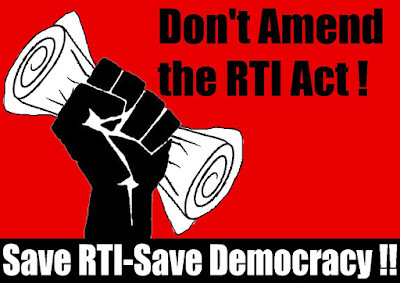 There have been many attempts even in the past to amend the RTI Act, but the GoI did not succeed. The RTI Amendment Bill was directly tabled in the Rajya Sabha, and surprisingly it was kept a “top secret” till then. It was not put in public domain for discussion, violating the Government of India’s own Pre-legislative Consultation Policy. The RTI Amendment Bill concentrates powers of appointing state and Central information commissions in the GoI’s hands, changing the current provisions of giving autonomy to states. In the current law, the state and Central information commissions’ term is only for five years, and there can’t be any reappointment, whereas in the proposed bill, the GoI has been empowered to decide on the terms of any commissioner across the country. Their designation and salary will no more be on par with that of the Election Commission of India (ECI), thereby hampering their autonomy, which is crucial for the implementation of the RTI Act. The Central and state commissions are proposed to be dis-empowered from hearing cases of denial of information at higher offices of the Centre and states, including offices of government secretaries, chief minister’s offices, the Prime Minister’s Office, courts etc. The amendment proposals contradict the rationale formulated by the October 2017 recommendations of the Law Commission of India for harmonizing salaries, terms and conditions of service of all statutory tribunals established under various Central laws. In fact, last year, the GoI hiked salary of officials of 19 tribunals and adjudicating authorities, making them on par with those in ECI. The second bill, proposed by the GoI, Data Protection Bill, claims to protect of one’s private and personal data lying within the government domain. However, regrettably, it gives clear indication that citizens’ access to information will be under government control and get restricted in the name of data privacy. Worse, some of the most crucial data are proposed to be left open for research purpose. The Data Protection Bill demands amending more than 50 legislations along with the RTI Act. 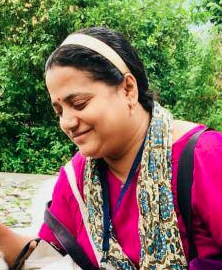 It will surely have an overriding effect on RTI as far as so-called private and personal information is concerned, thereby disempowering public information officers (PIOs) to take decisions on disclosures in good faith. The bill defines “harm” very widely, exempting data information in cases of loss of reputation, humiliation, mental injury, and fear of being observed or surveillance. This actually means that PIO may interpret any RTI query as “harmful” if it supposedly causes mental injury or loss of reputation, and can be withheld, especially when it comes to information related to issues of misconduct. Clearly, the bill would have an overriding effect over the freedom of speech and expression and RTI, thereby violating fundamental rights of citizens. Speakers at the seminar raised serious concern over the GoI’s attitude towards transparency and accountability, and also about curbing the autonomy of the Central and state information commissions. It was unanimously resolved that any attempt to dilute the RTI Act will not be accepted by citizens and the GoI should strictly adhere to the Pre-legislative Consultation Policy. Consultation should be held with public at large on the proposed bill and their rationale should be debated.